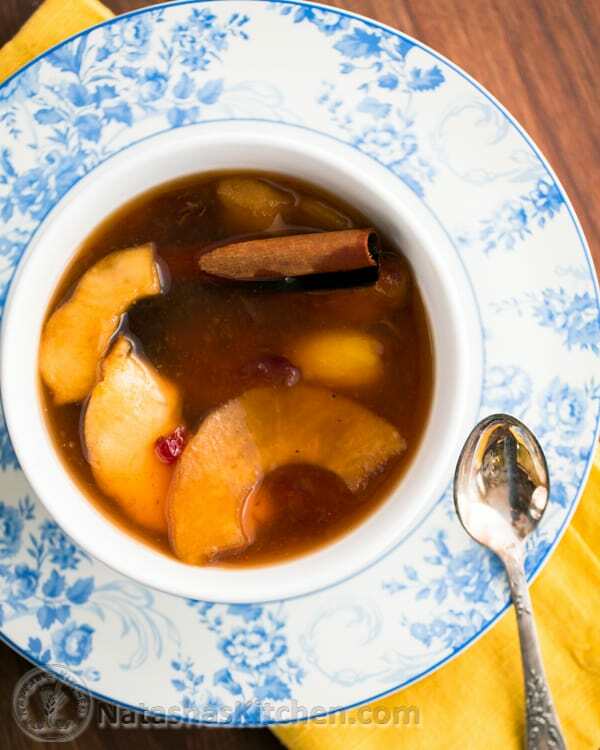 Kissel (pronounced KEE-sell) is a fruit soup that is very popular in Europe; usually eaten as dessert. 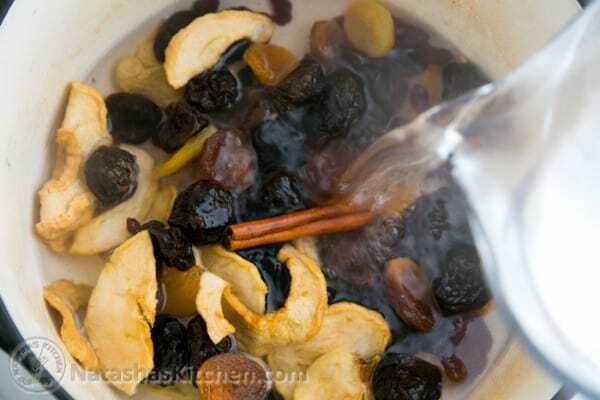 This is a winter kissel that calls for dried fruit. You know what’s awesome? 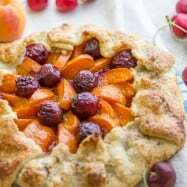 You can use any kind of dried fruit you want because it’s always in season! 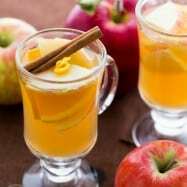 😉 The cinnamon stick takes this kissel over the top and reminds me of apple cider. 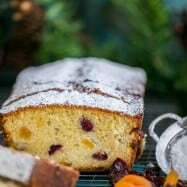 And, it will make your house smell Aaaa-mazing! 1. 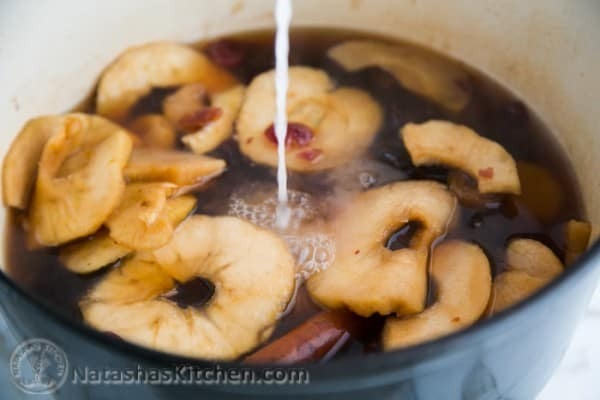 Rinse and drain the dry fruit then transfer it to a large soup pot along with the cinnamon stick. 2. Cover fruit with 6 cups boiling water. Cover with lid and let the pot sit off the heat for 30 minutes. 3. 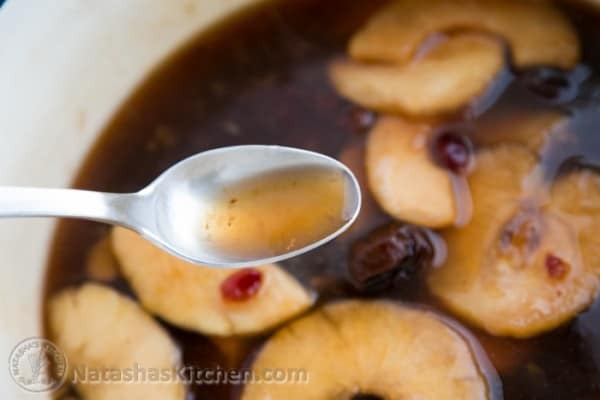 After the 30 minutes, add 2-3 Tbsp of honey to taste, and place the pot on the stove. 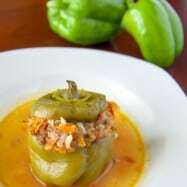 Bring it to a boil over med/high heat then reduce heat and simmer on low for 5 – 7 minutes. 4. 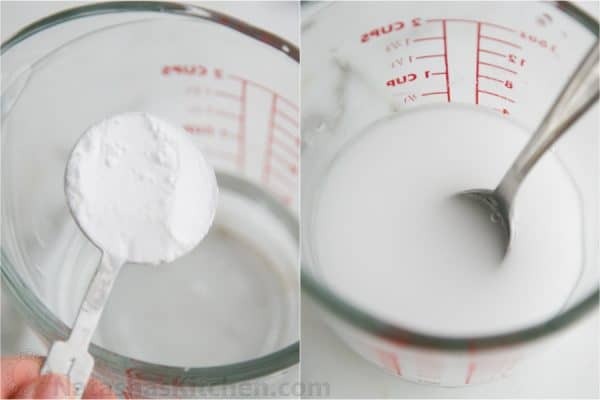 Mix 2 Tbsp of potato starch with 1/2 cup of cold water and slowly pour it into the soup pot while continuously stirring the soup. 5. Bring the pot back to a boil and immediately remove it from the heat. Serve warm or cold. 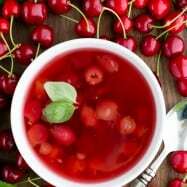 You can strain the fruit through a sieve if you just want the juice, but we enjoy the fruit way too much to do that. Kissel (pronounced KEE-sell) is a fruit soup that is very popular in Europe; usually eaten as dessert. 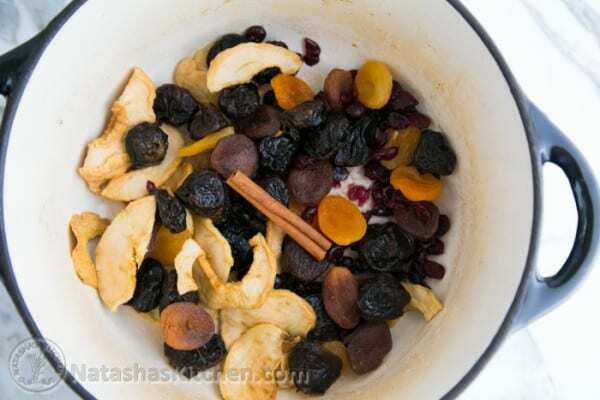 This is a winter kissel that calls for dried fruit. You know what's awesome? 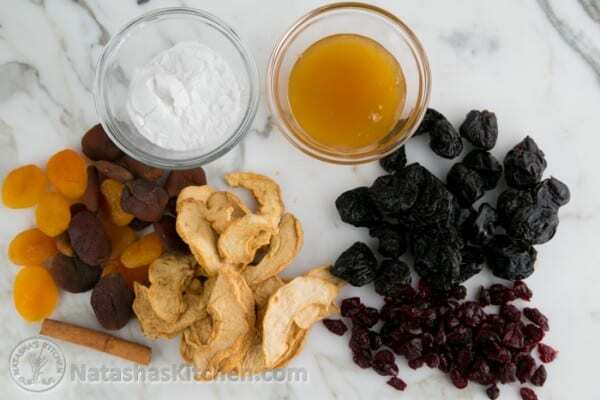 You can use any kind of dried fruit you want because it's always in season! 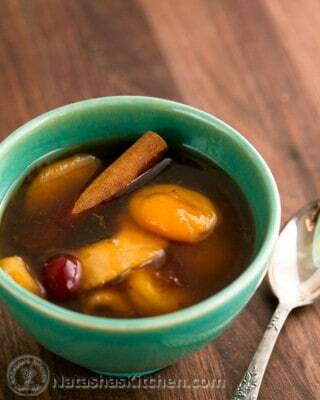 😉 The cinnamon stick takes this kissel over the top and reminds me of apple cider. And, it will make your house smell Aaaa-mazing! 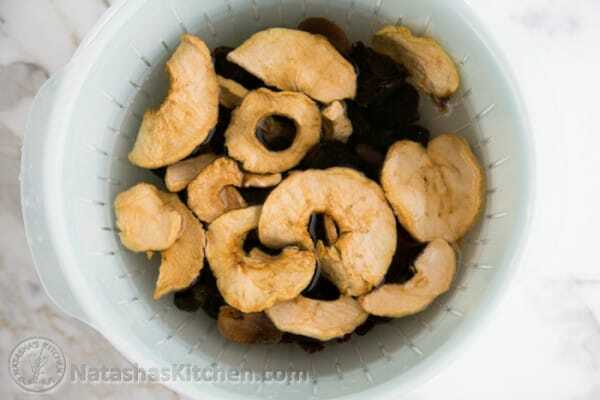 Rinse and drain the dry fruit then transfer it to a large soup pot along with the cinnamon stick. Cover fruit with 6 cups boiling water. Cover with lid and let the pot sit off the heat for 30 minutes. 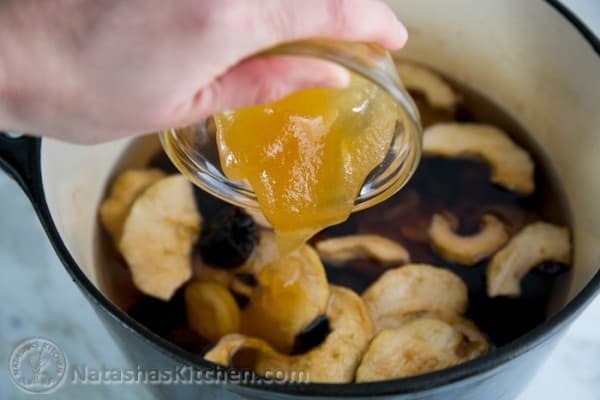 After the 30 minutes, add 2-3 Tbsp of honey to taste, and place the pot on the stove. Bring it to a boil over med/high heat then reduce heat and simmer on low for 5 - 7 minutes. Mix 2 Tbsp of potato starch with 1/2 cup of cold water and slowly pour it into the soup pot while continuously stirring the soup. Bring the pot back to a boil and immediately remove it from the heat. Serve warm or cold. You can strain the fruit through a sieve if you just want the juice, but we enjoy the fruit way too much to do that. I have searched for potato starch near and far, where did you find yours? Marina of Let the Baking Begin!